I took a half-day today to travel down to Arrochar for the weekend. 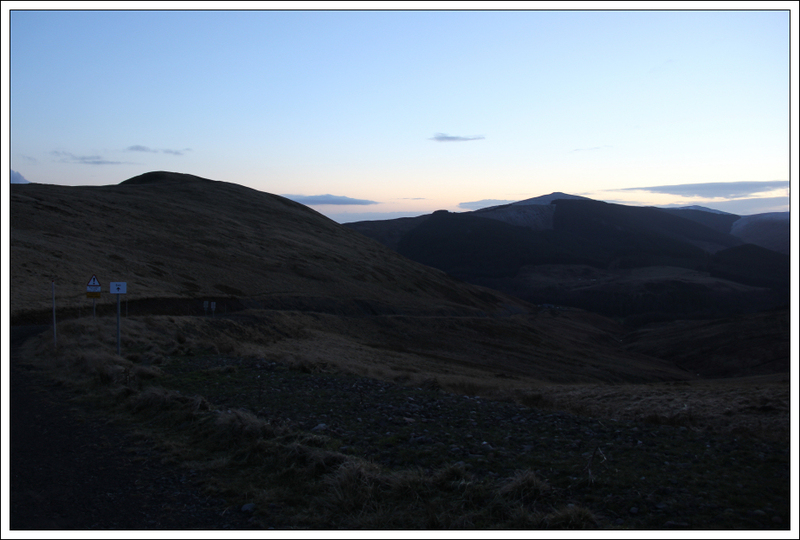 On the way to Arrochar, I managed to squeeze in the ascent of a Sub2000ft Marilyn. 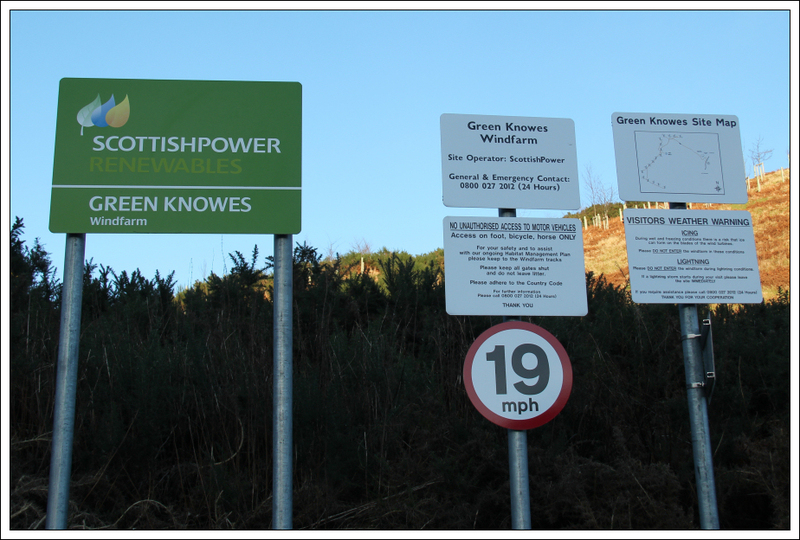 I have been putting off an ascent of Steele’s Knowe for sometime as Steele’s Knowe is home to the Green Knowes windfarm. 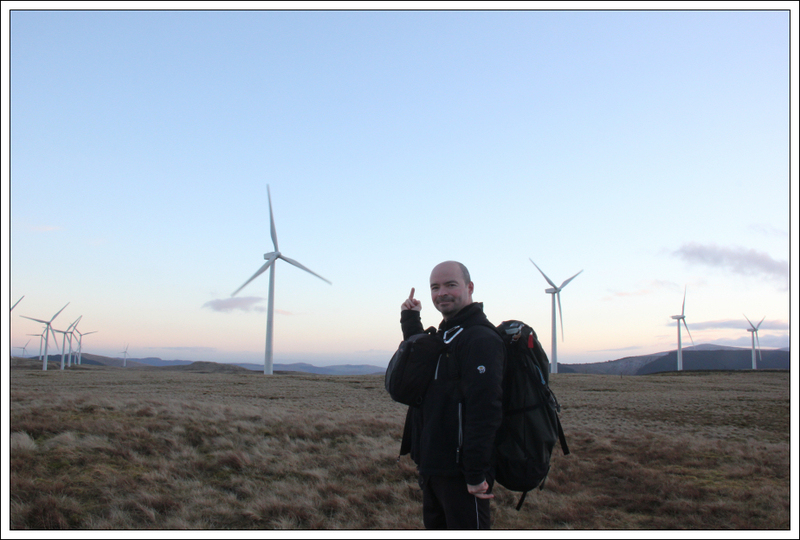 I am not a fan of onshore windfarms located on hills . 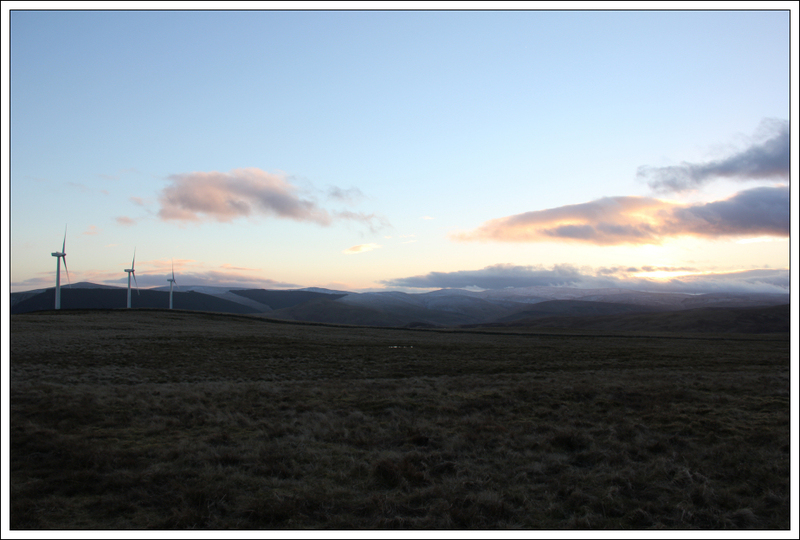 I arrived in Glendevon around 15:00 and parked at the start of the track leading up to the windfarm. 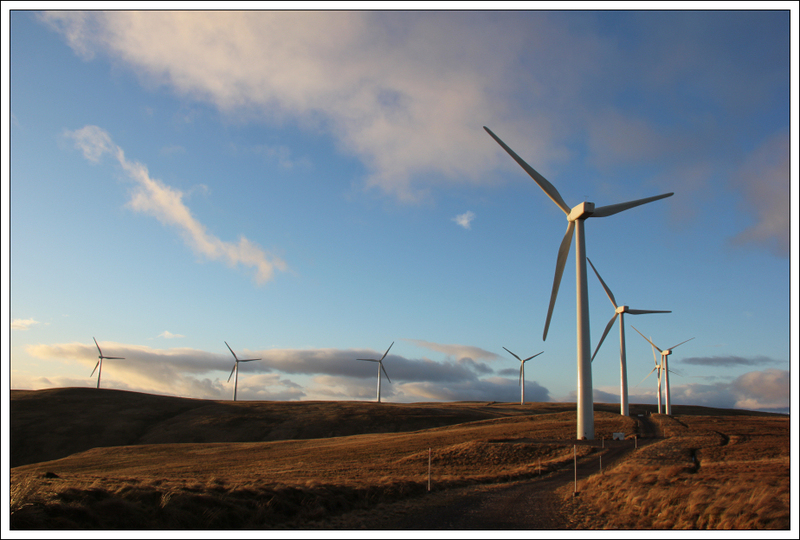 I followed the oversized windfarm track to within a few hundred metres of the summit. Why 19mph and not 20mph? Bizarre! The walk along the track was definitely not tranquil. It’s amazing how much noise these things make when you are walking right next to them. It felt a bit like walking along an airport runway. 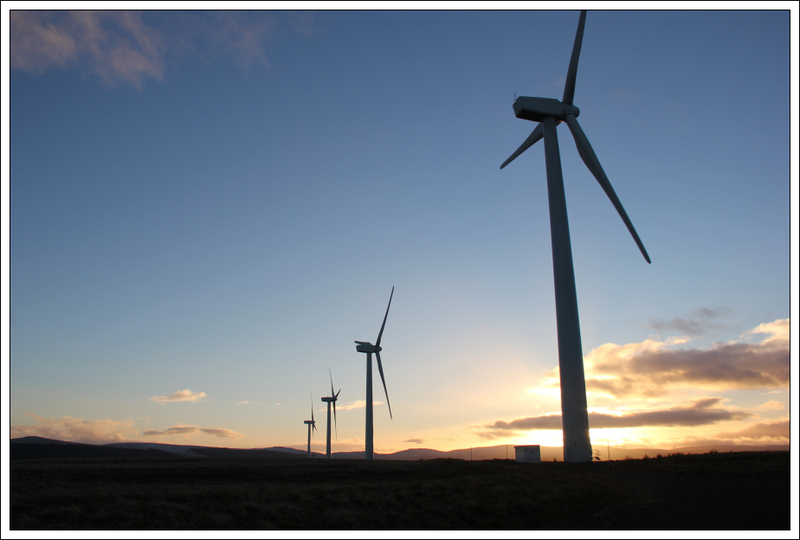 Several of the turbines are located right next to the track with the blades directly over the track. Walking this route would be risky if there is any ice on the turbine blades. 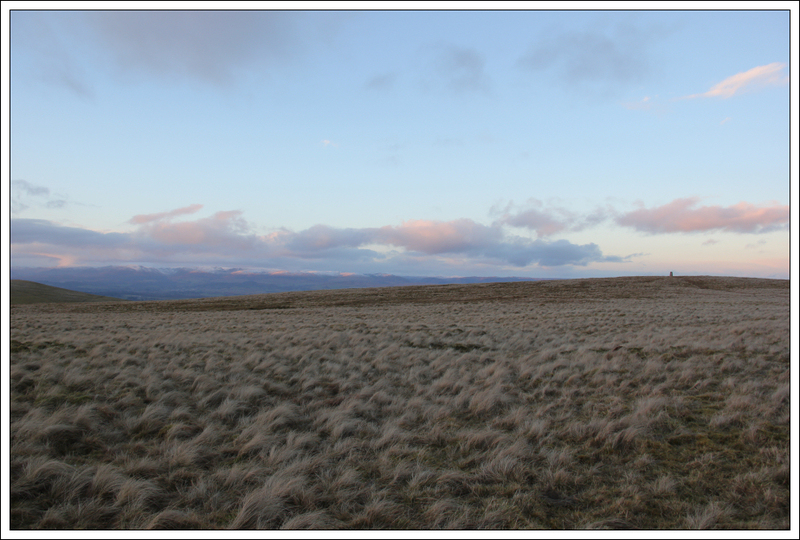 Beyond the last turbine I walked across very wet short tussocks to reach the summit trig point. 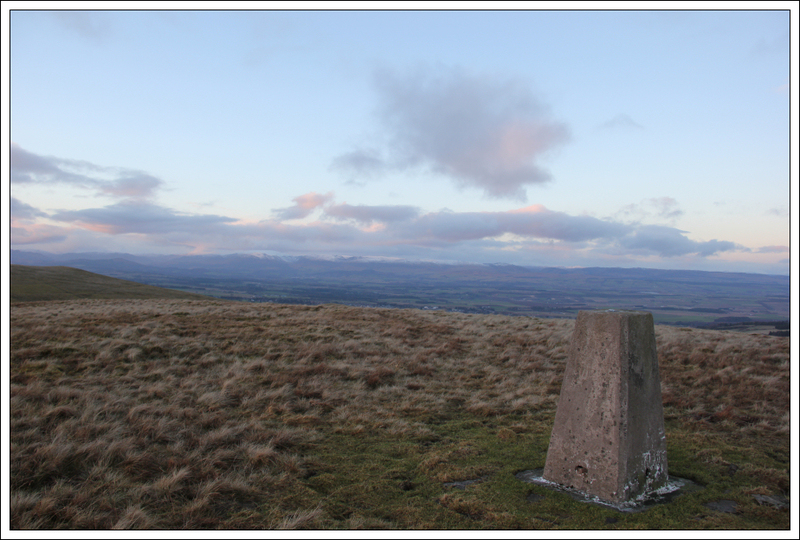 I didn’t know what the hills were behind the trig point until looking at the map on getting back. 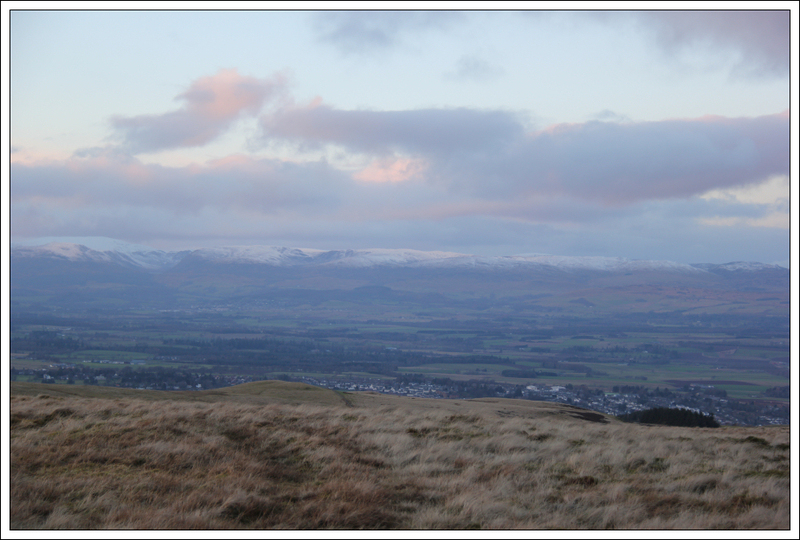 I believe the hills are Ben Chonzie and Auchnafree Hill. 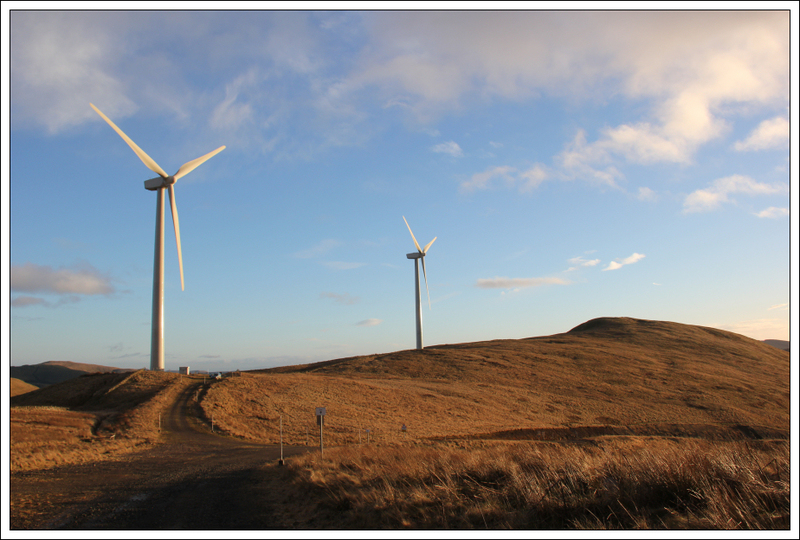 I don’t normally listen to music while ascending hills but today I did to partially mask the noise of the turbines. Guns and Roses and Eminem were on the playlist today . 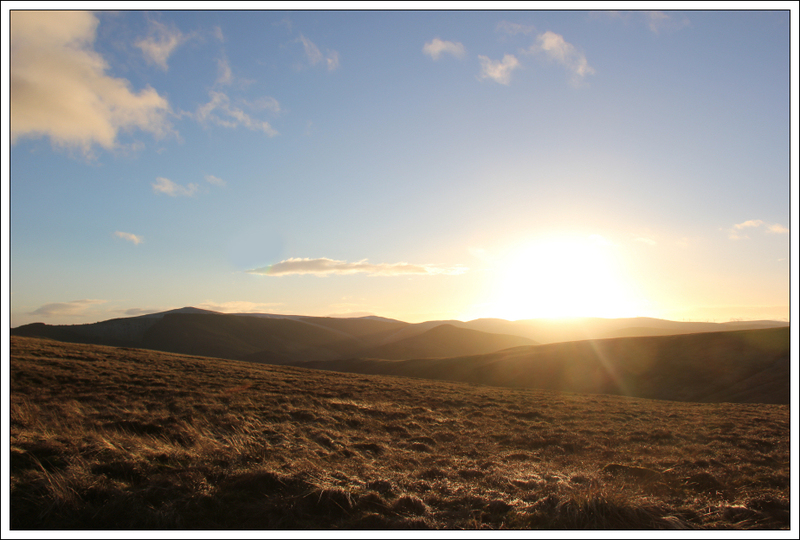 The sun set not long after I reached the summit. 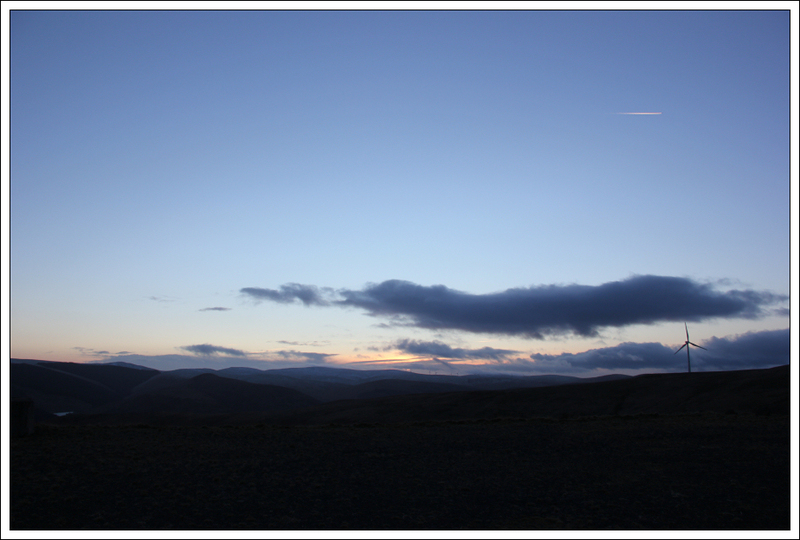 I did however manage to avoid walking in the dark getting back to the car around 17:00. It saddens me to see the countryside spoiled with these ugly, unreliable, inefficient monstrosities. Everytime I see them, I think of the invasion in War of the Worlds .